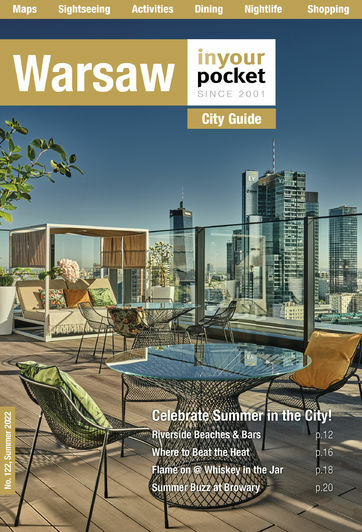 As Warsaw continues to become a revitalised, vibrant European city, it may be hard to fathom, but there was a time, in inter-war Poland, when a country so long under the control of foreign powers, regained its independence and confidence, and in the 1920s especially, people expressed themselves in the arts & culture - it was a classy time to be around. Warsaw in this time was a hotbed of wow, it was the era of Mieczysław Fogg, the likes of Eugeniusz Bodo et al. That time is gone, never to return, however, in a place like Wieniawa, located in a fantastic old building, you can relive a piece of those heady days. The menu harks back to simple but good Polish foods with a modern touch, the interior feel of the bar throws you right back to those days of exuberance. This is a place to come and experience 'the Polish soul' of those times.